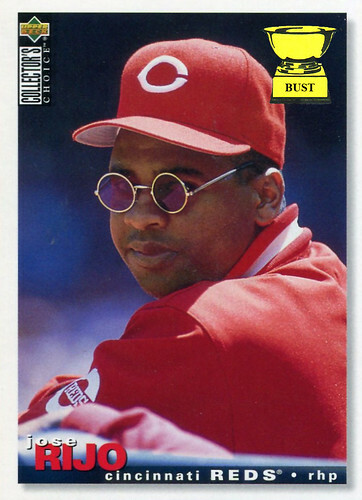 Key 1994 stat: One letter away from a Reds player with the last name "Rojo"
Why is Jose Rijo wearing those sunglasses? (A) He pulled them out of a box of Honey Smacks. (B) He was a huge P.M. Dawn fan. (C) He always viewed the world through rose-colored glasses, so what the hell. (D) He just returned from guest starring on "A Different World."